(Mission Network News) — Ninety-percent of deaf children are born to parents who can hear. Most of those parents—85-percent—never learn sign language. As a result, many deaf kids are cut off from the world around them. Not so for two-year-old Sam Savitz. Her neighbors—all hearing people—learned American Sign Language because that’s the heart language of deaf individuals like Sam. Sam is naturally a “people person,” and her neighbors wanted desperately to join her in conversation. “These neighbors really wanted to do more than just say ‘hi’ to her, so they brought in a deaf person to teach all of them some basic signs so they could start to communicate with Sam,” Rob Myers explains. Myers is the president and CEO of DOOR International, a global deaf-to-deaf ministry. Sam’s story is extraordinary because “many (deaf) kids grow up without language until the age of four or five,” he explains. It’s rare for the parents of deaf children to learn sign language, let alone an entire neighborhood. 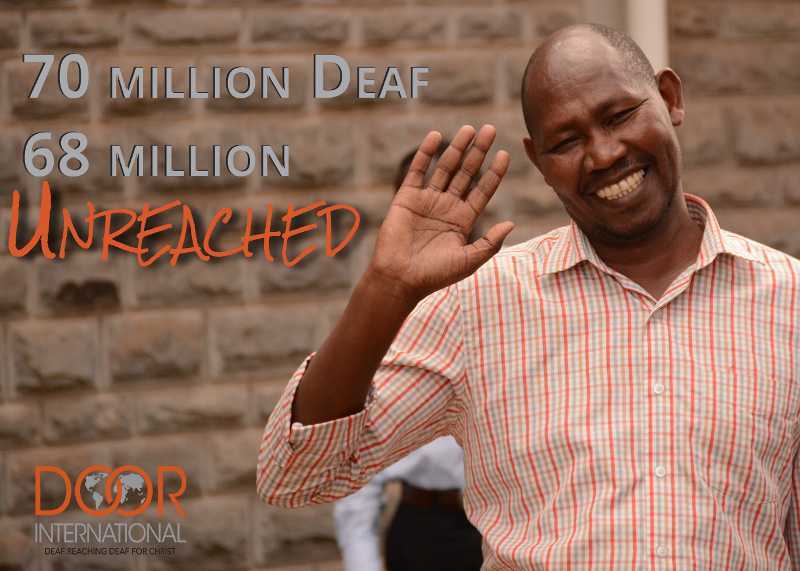 “Less than 2% of the world’s 70 million deaf people know God. Many deaf never learned how to read, so the written Bible makes no sense. Deaf people need to see God’s Word in their heart sign language to truly understand it,” the group’s Facebook page also explains. Christian News Network added to this report.